The Waterwise 10000 Steam distiller produces the freshest pure water possible. Simple to use, this counter top sized appliance plugs into any standard household outlet. Simply fill the distiller chamber with tap water, position the collection bottle and push start. The device shuts itself off after a complete cycle. 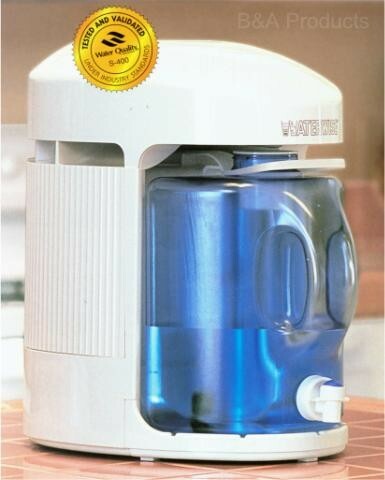 Produces one gallon of purified water in approximately one hour. Collection chamber has pour spout and lid and is suitable for refigerator storage.